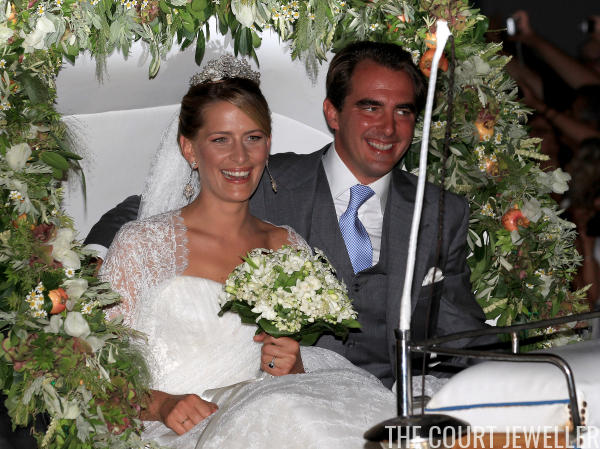 Princess Claire of Belgium wears her pearl and diamond tiara at the pre-wedding gala for Hereditary Grand Duke Guillaume of Luxembourg, October 2012; see more images of this intriguing sparkler over here! 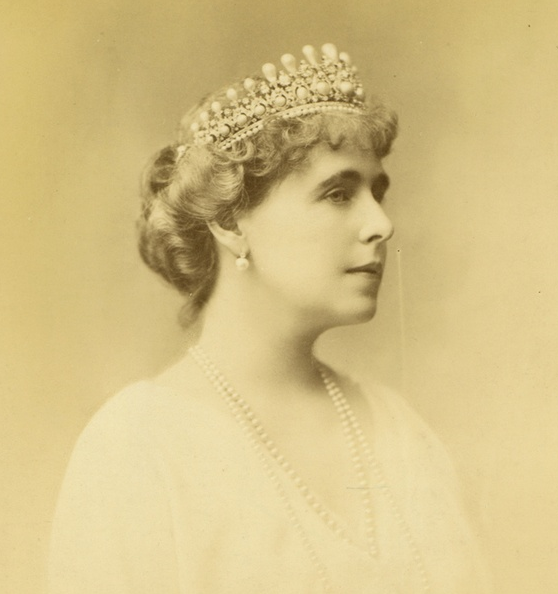 "The Queen's Jewels Refurbished During Scottish Holiday"
While the Queen  is taking her summer holiday at Balmoral, her pearl necklaces have been sent to be restrung. This is done annually and by a little old man who has had the job for years. 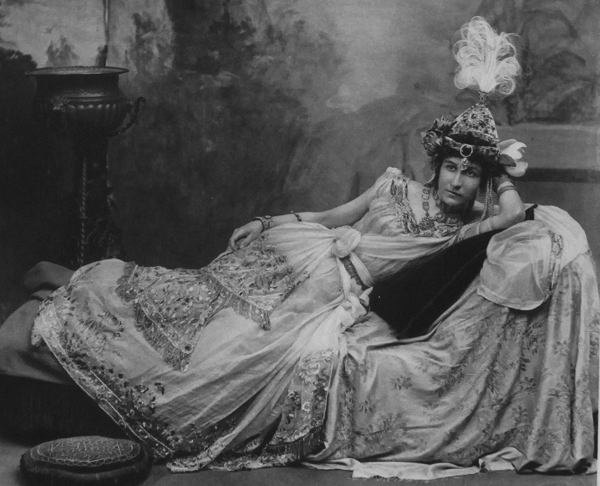 The pearls are guarded by detectives and great secrecy is observed when the necklaces leave the palace. 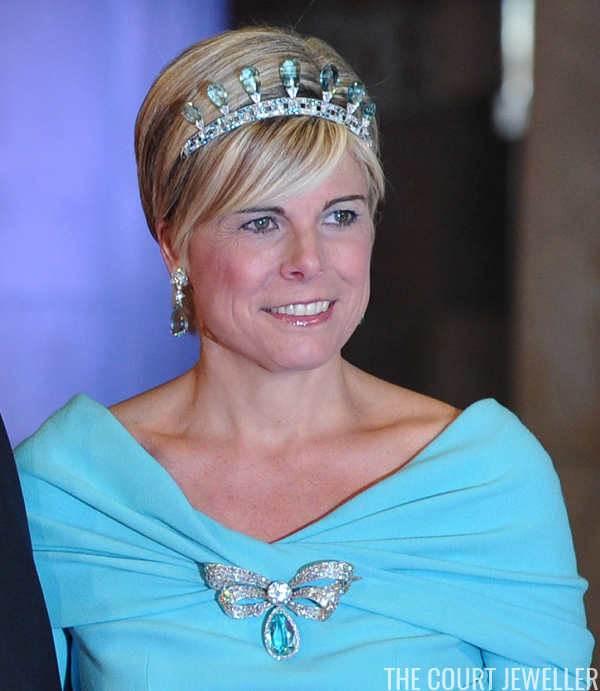 Princess Laurentien of the Netherlands wears the Dutch Aquamarine Tiara, plus additional pieces from the parure, at the pre-inauguration gala, April 2013; read all about Queen Juliana's aquamarines over here! 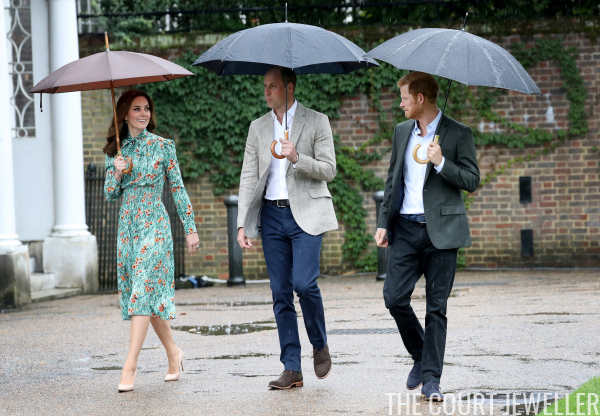 The Duke and Duchess of Cambridge and Prince Harry were at Kensington Palace on Tuesday for a special event: a visit to the White Garden that commemorates the life of Diana, Princess of Wales. 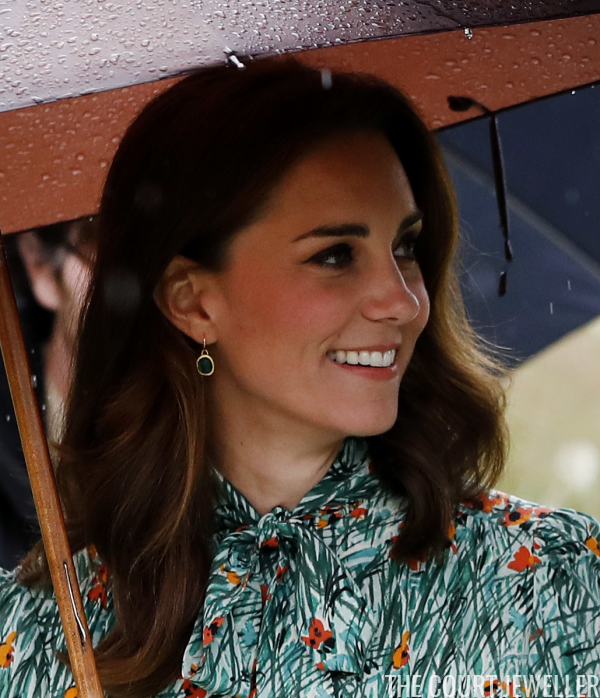 For the garden visit, Kate reached into her jewelry box for a familiar pair of earrings. These are the Monica Vinader Siren Earrings in green onyx. Here's another view of her earrings from this morning's rainy garden tour. We first saw Kate wear these during the tour of Canada in the autumn of 2016. Kate also recently wore them for another garden engagement: a trip to the Chelsea Flower Show earlier this spring. Appropriately, Kate's only other major piece of jewelry for the occasion was her sapphire and diamond engagement ring, which once belonged to her late mother-in-law. You can read more about the famous ring over here. 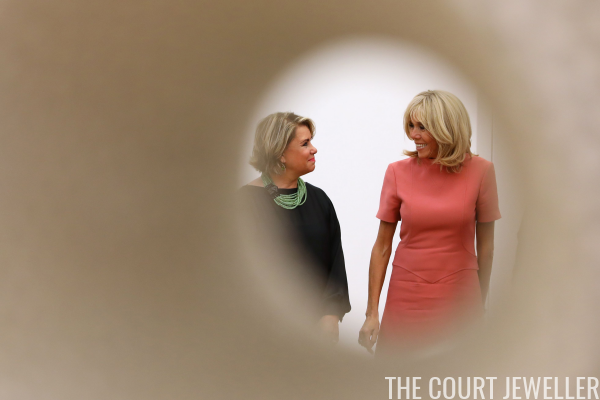 Grand Duke Henri and Grand Duchess Maria Teresa of Luxembourg hosted government representatives from France and Belgium on Tuesday, and Maria Teresa chose an eye-catching piece of jewelry for the occasion. 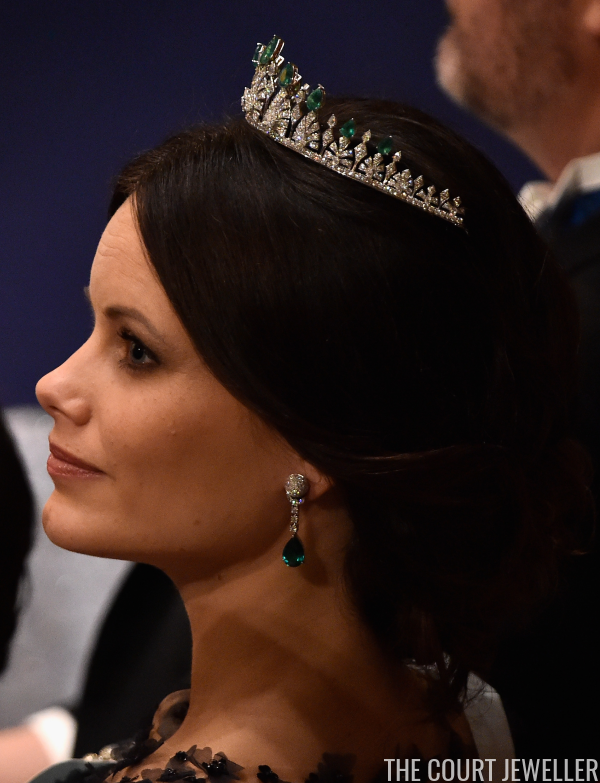 Princess Sofia of Sweden wears her Emerald Palmette Tiara at the Nobel Prize Ceremony, December 2015; read all about the tiara's creation over here! 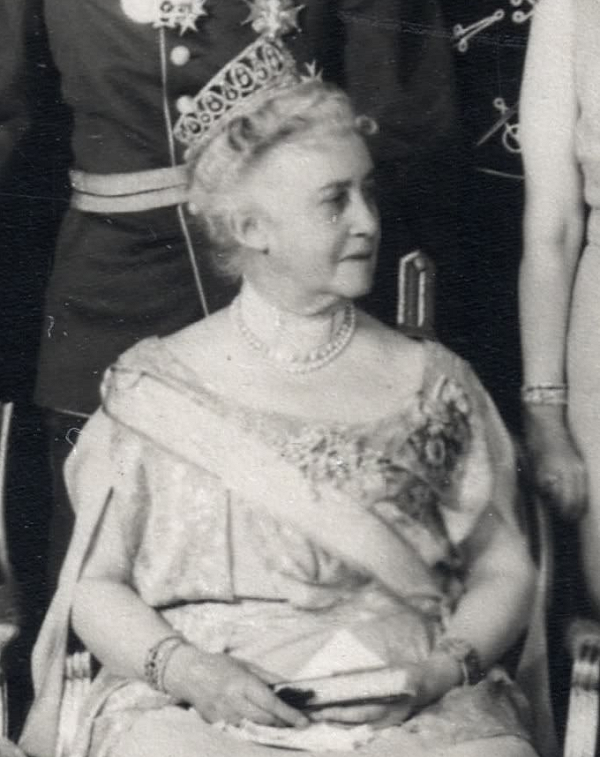 Of all the diamond necklaces in the British royal vaults, few pack as much diamond firepower as the incredible Greville Festoon Necklace. 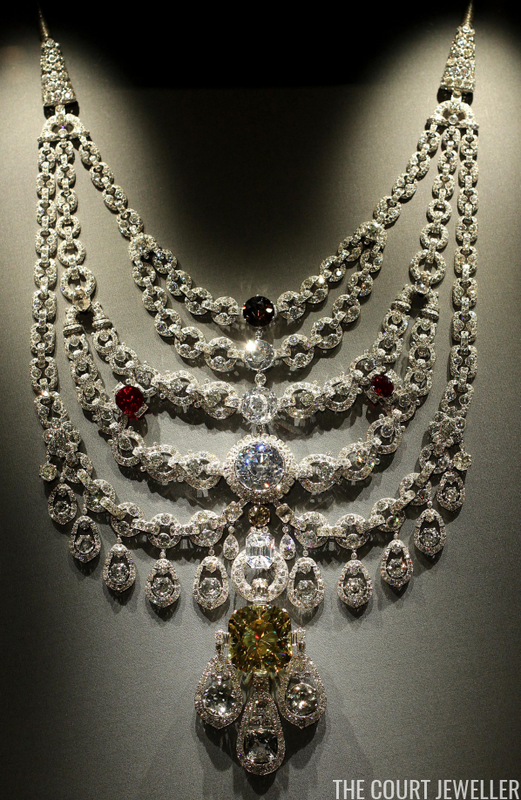 Today, we're taking a deep dive into the history of this fabulous royal jewel. 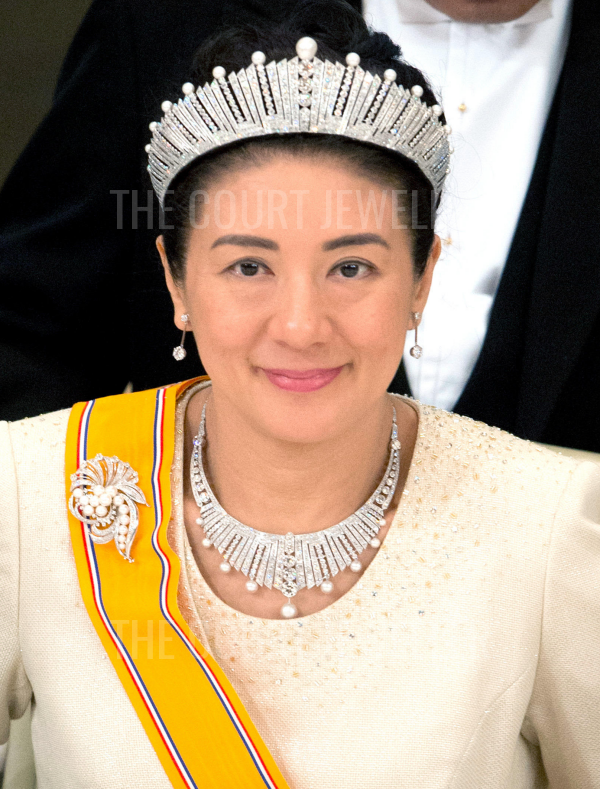 Princess Marie of Denmark wears Princess Dagmar's Floral Tiara at the annual New Year's Levee, January 2016; read all about the tiara's history over here! 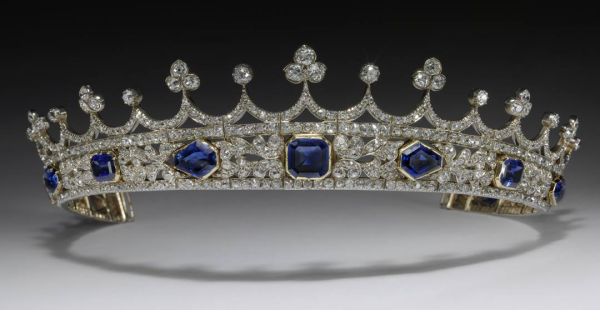 Queen Victoria's Sapphire Coronet Heads to the V&A! 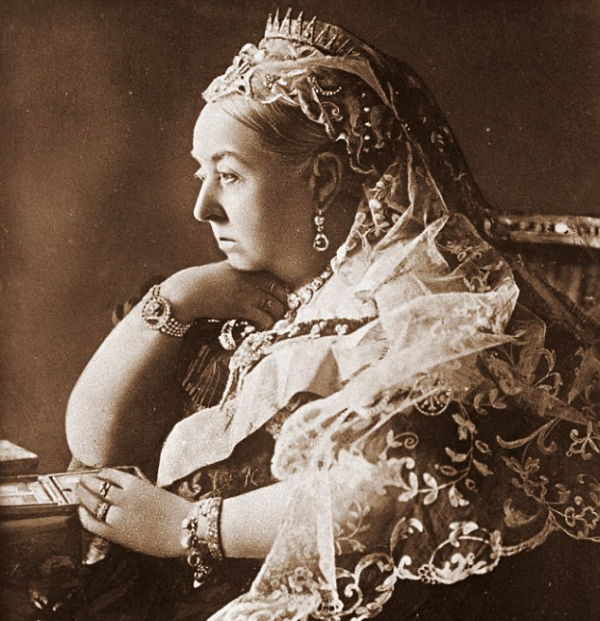 I get regular questions about the fate of Queen Victoria's Sapphire Coronet, the historic jewel that nearly left Britain last year. Up until now, I haven't had answers, but today, major news broke: the coronet has been acquired by the Victoria and Albert Museum! 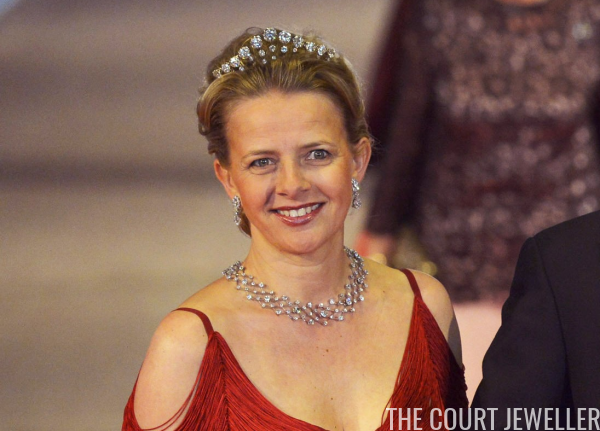 Hereditary Princess Sophie of Liechtenstein wears the Habsburg Fringe Tiara at the pre-inauguration gala in the Netherlands, April 2013; learn why the Liechtenstein princely family has a Habsburg tiara over here! 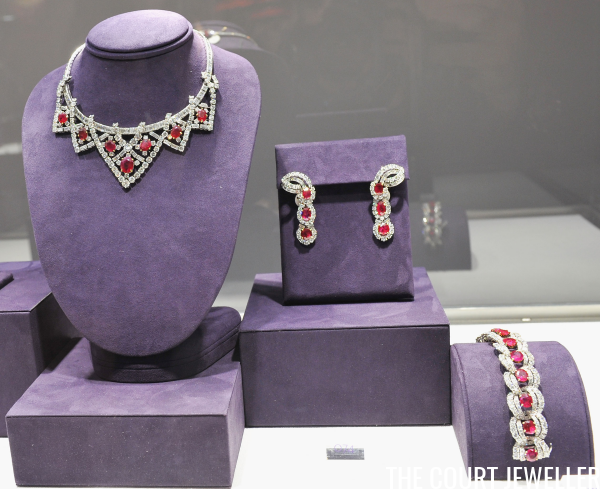 Our celebration of jewels made by Cartier wraps up today with a look at a romantic suite of ruby and diamond jewels that belonged to a member of Hollywood royalty: Dame Elizabeth Taylor. 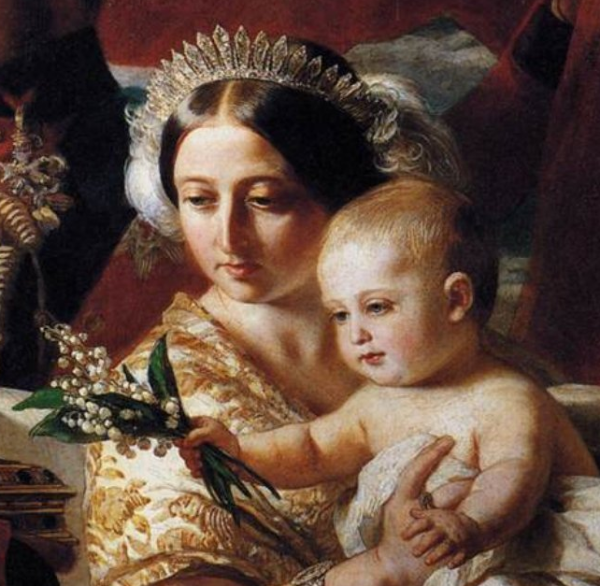 Queen Victoria of the United Kingdom wears Queen Adelaide's Diamond Fringe as a tiara in this detail from Winterhalter's The First of May 1851; learn all about this diamond fringe over here! 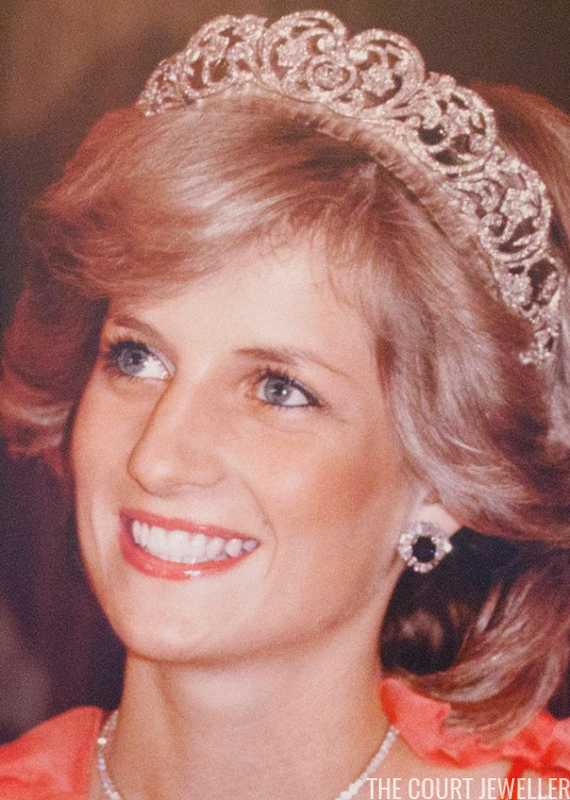 As the commemorations marking the 20th anniversary of the death of Diana, Princess of Wales begin to draw to a close, I'd like to offer one more of my own -- a more sparkling, less controversial tribute than many I've seen in the media of late. 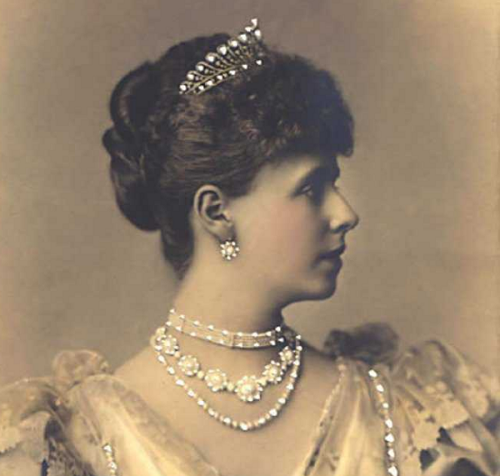 Rather than dwelling on the details of the late princess's private life, let's enjoy some glitter courtesy of her family diadem, the Spencer Tiara. Image licensed to The Court Jeweller; DO NOT REPRODUCE. 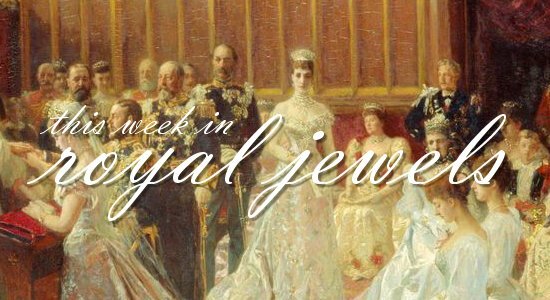 With most of the royals of the world on holiday this month, we're going to wait until next week for a supersized royal jewel roundup. Instead, enjoy a special two-part flashback post! 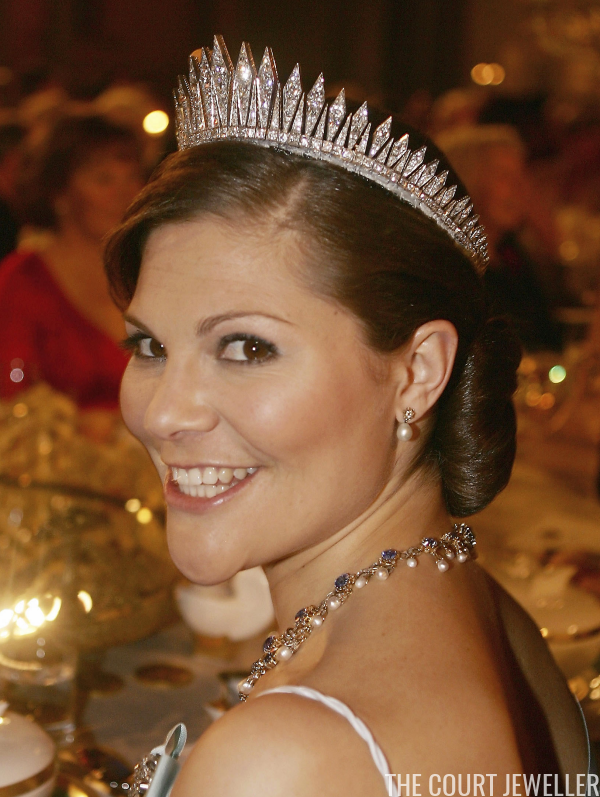 Crown Princess Victoria of Sweden wears the Baden Fringe Tiara with the Processional Necklace at the Nobel Prize Banquet, December 2005; read about the tiara's history here and the necklace's history over here! 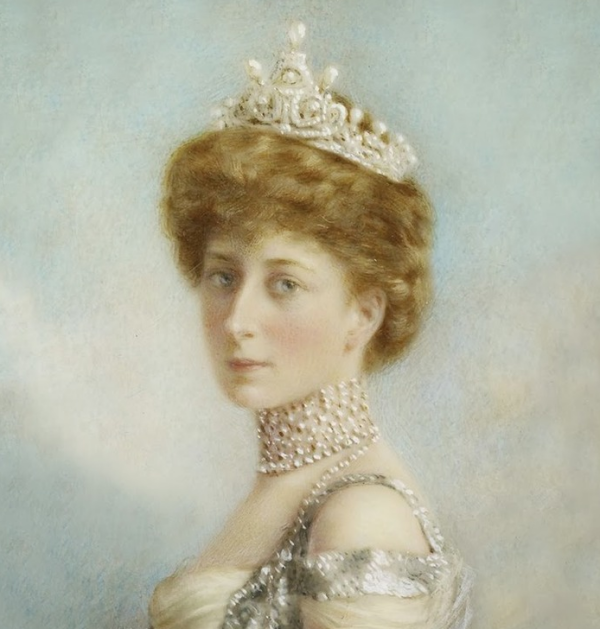 If you're in the market for a new tiara, an upcoming sale at Bonham's in Knightsbridge may have just what you're looking for: a convertible pearl and diamond tiara that's more than a century old. 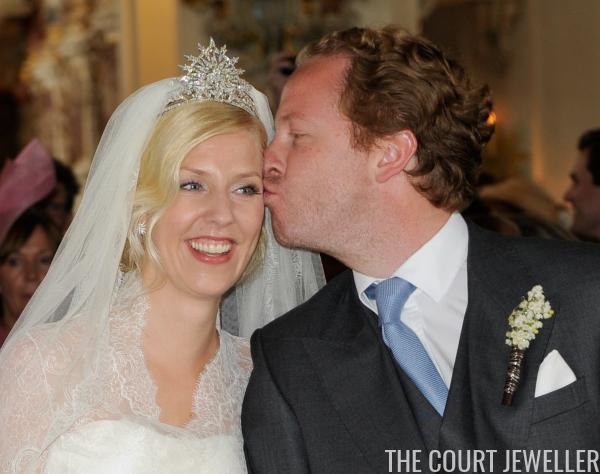 Stephanie of Baden wears the family's diamond sunburst tiara at the wedding reception for Prince Albert II and Princess Charlene of Monaco, July 2011; learn all about the tiara's history over here! 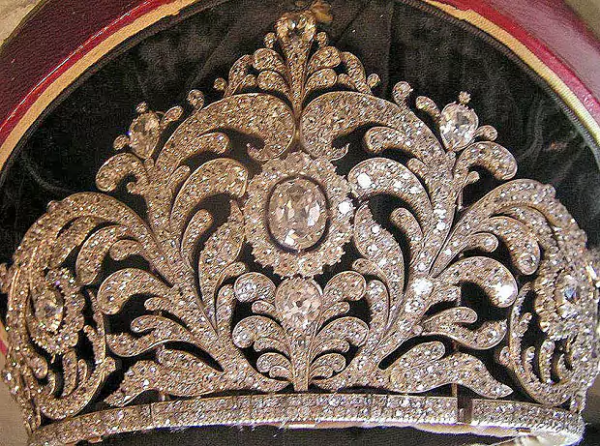 Queen Noor of Jordan celebrates her birthday today, and we're celebrating along with her by featuring her intriguing diamond tiara. 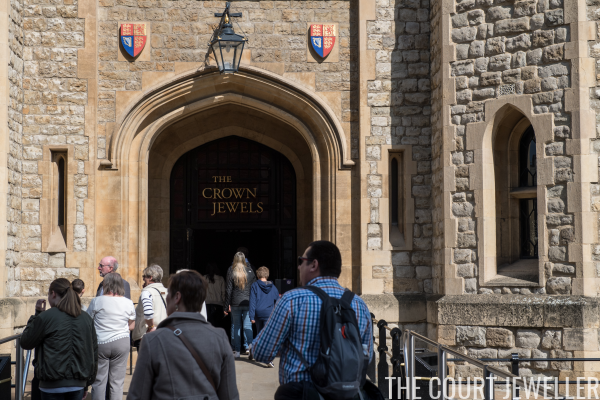 "Crown Jewels Burglar Alarm Sets Off Security Tizzy"
LONDON, Aug. 22 -- The boss at the Tower of London confessed to Scotland Yard today that he set off the burglar alarm to see how well the crown jewels are being guarded. "I'm delighted with the test," said Brig. Leslie Frederick Ethelbert Wieler. "It worked extremely well." 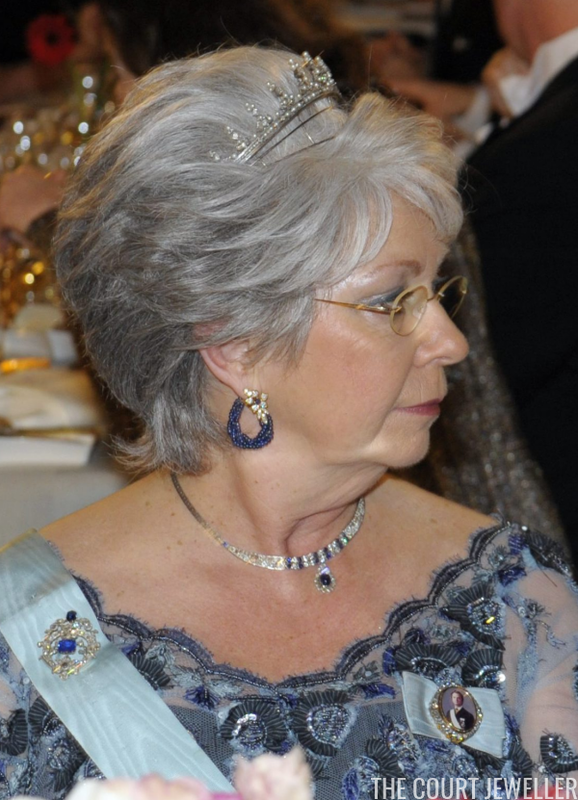 Felipa of Bavaria wears the family's diamond sunburst tiara at her wedding, May 2012; learn about the history of the tiara, which the family has since sold, over here! 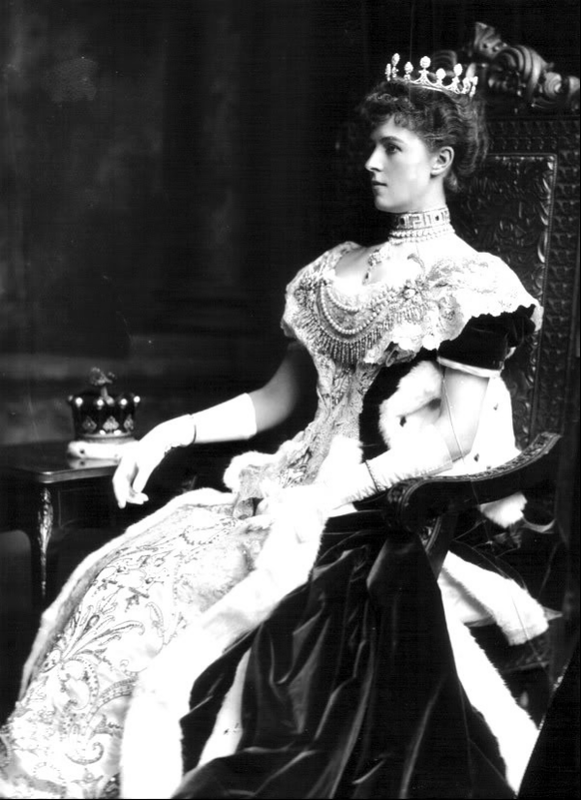 Queen Marie of Romania wears the family's diamond and pearl Massin Tiara in a portrait; you can read much more about the tiara, which was disappeared in revolutionary Russia, over here! 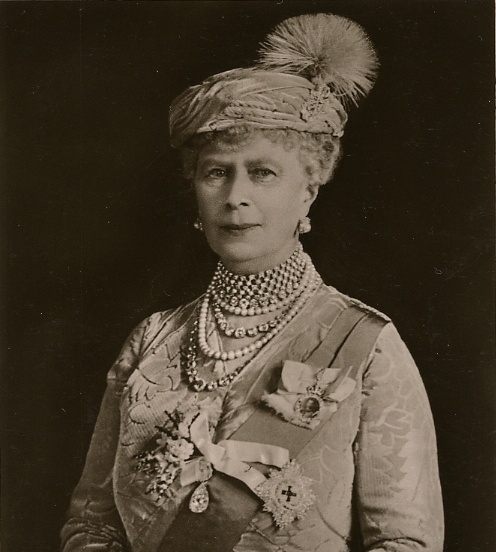 Our series on the grand royal jewels made by Cartier continues today with a whopper of a piece: the necklace commissioned from the firm by the Maharaja of Patiala. 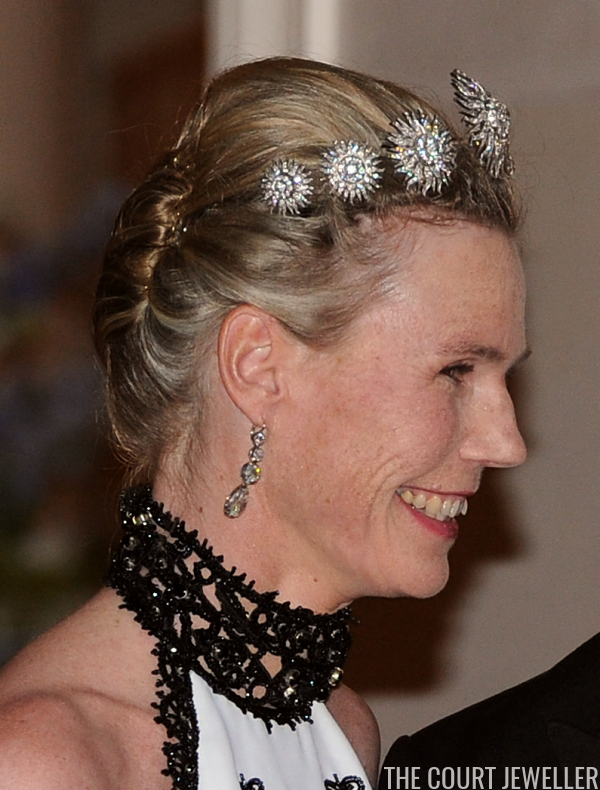 The Norwegian monarchy may be a young one, but the current royal family has quite a stash of jewelry, thanks to their descent from Danish, British, and Swedish royalty. 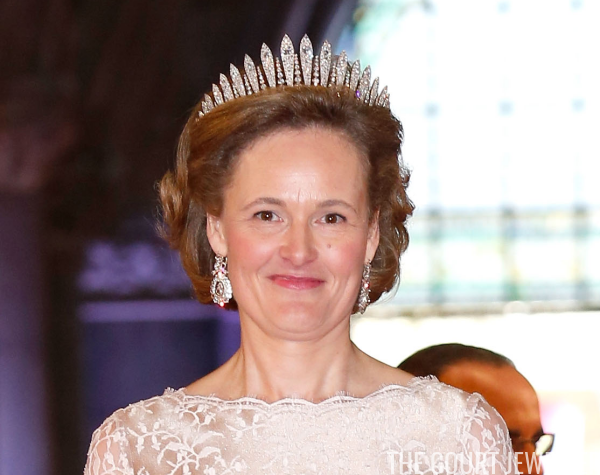 Today's sparkler, the Vasa Tiara, came into the Norwegian vaults through the current king's mother, Crown Princess Märtha, who was royal in her own right. Many royals are currently on holiday, but we've still got a bit of glitter this week, including a royal wedding! Don't forget to vote for your favorites in the poll below! 10. 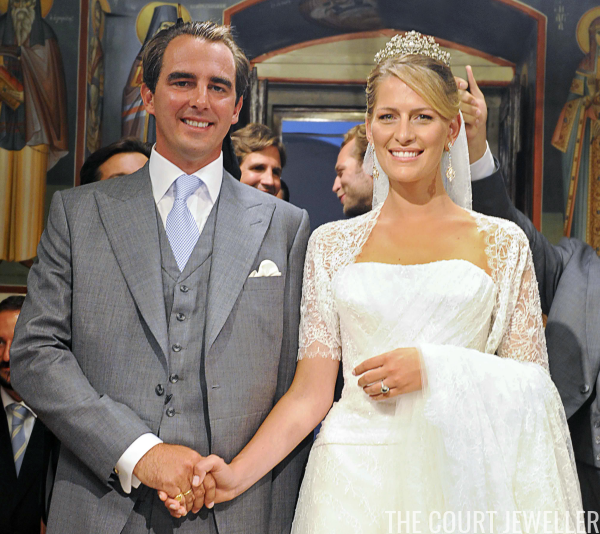 Princess Tatiana of Greece and Denmark wore pearly stud earrings for a night out with her husband in Geneva on Thursday. This November, a unique collection of diamonds will be auctioned online that were mined and polished in Russia. 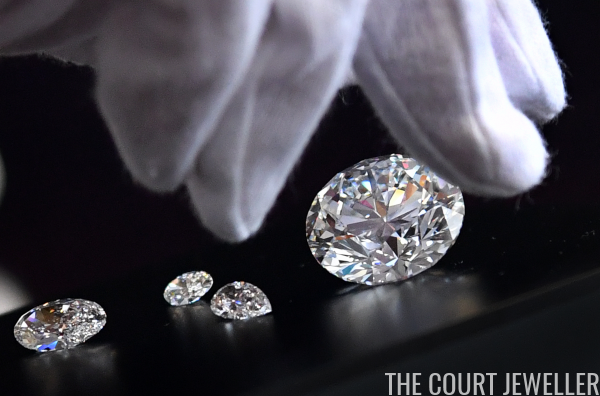 Here's a look at the "Dynasty" diamonds. 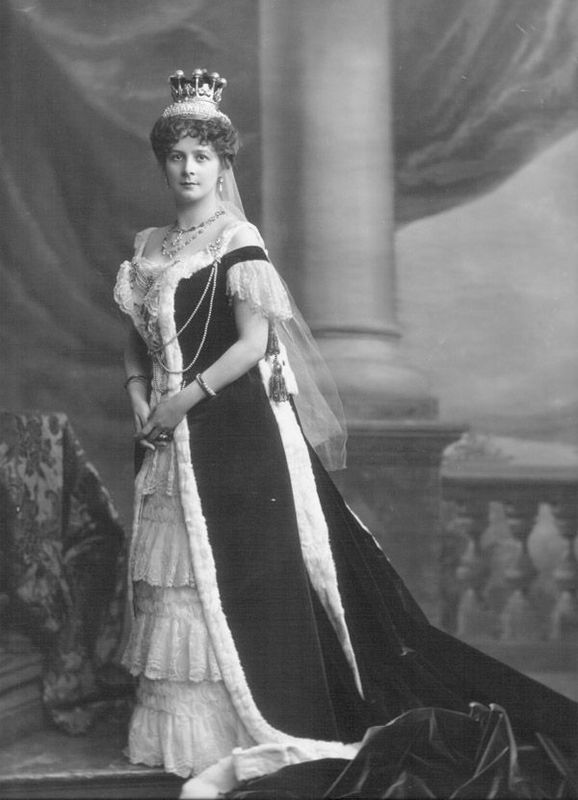 Queen Maud of Norway wears the original version of her diamond and pearl tiara in a portrait, ca. 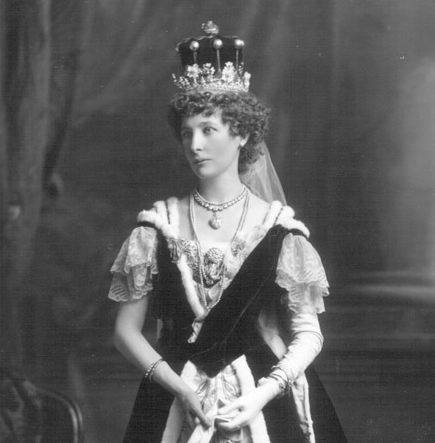 1905; read more about the tiara, which was stolen and later replicated, over here! 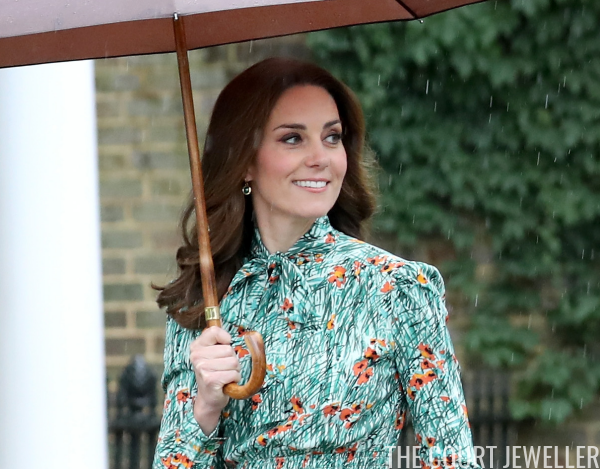 After the Duchess of Cambridge recently wore a pearl bracelet from the collection of her late mother-in-law, Diana, Princess of Wales, the designer of the bracelet has written more about the piece. 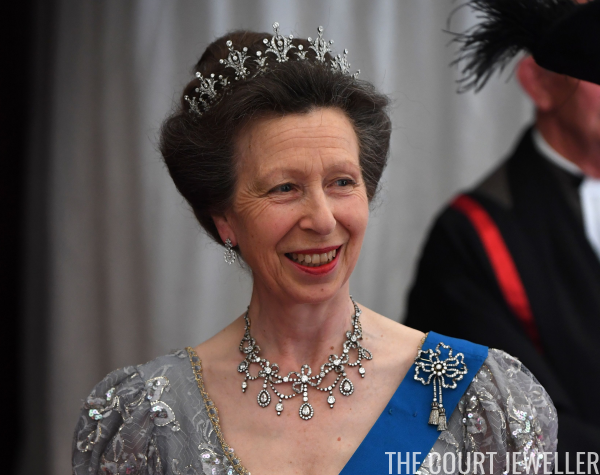 Today, the Princess Royal celebrates her birthday, and to mark the occasion, I've compiled a list of ten of her very best pieces of jewelry. Anne's collection is much bigger than this, so be sure to add your own list in the comments below! "Hired Jewels Are Much in Evidence"
London, July 27 -- I have just acquired a rather curious bit of information, which may be taken for granted, coming as it does from the jewelers of the West End. 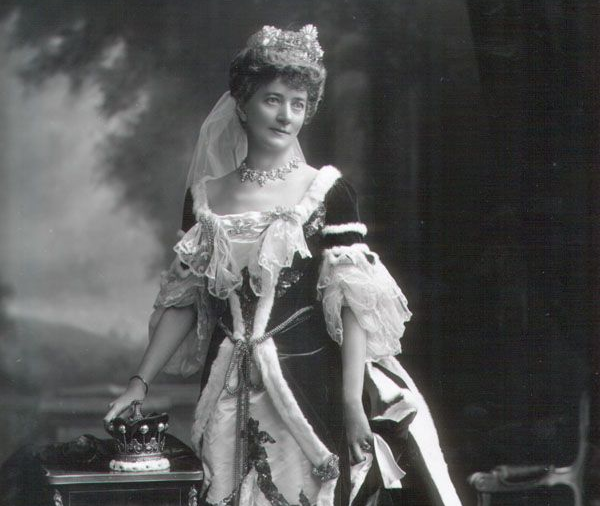 It appears there are many jewelers in the West End who carry on privately a regular trade, hiring out to approved customers  tiaras, necklaces, bracelets, and other articles for special occasions, and a very fine paying business it is. 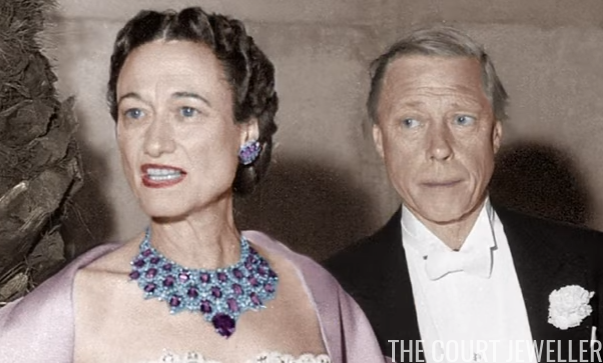 Our celebration of royal jewels made by Cartier continues this month with one of the most colorful, modern sets that the firm made for the Duchess of Windsor: her amethyst and turquoise suite. Enjoy seeing this beautiful set of jewelry in motion! 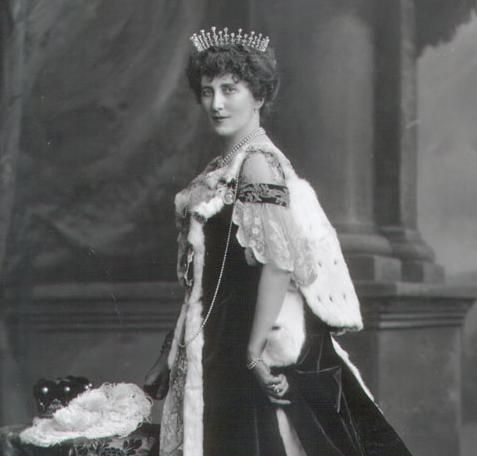 Through all of the royal upheaval of nineteenth-century France, one thing remained constant: the women of the royal and imperial families were top-notch jewelry wearers. 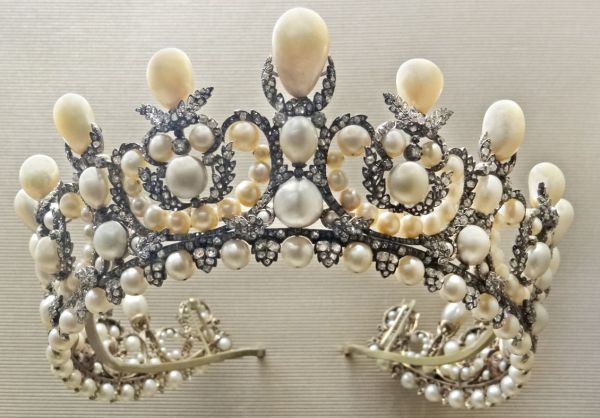 Today's rather magnificent pearl diadem traces its way back to the country’s last empress, wending its way through other royal families before finally returning back home. 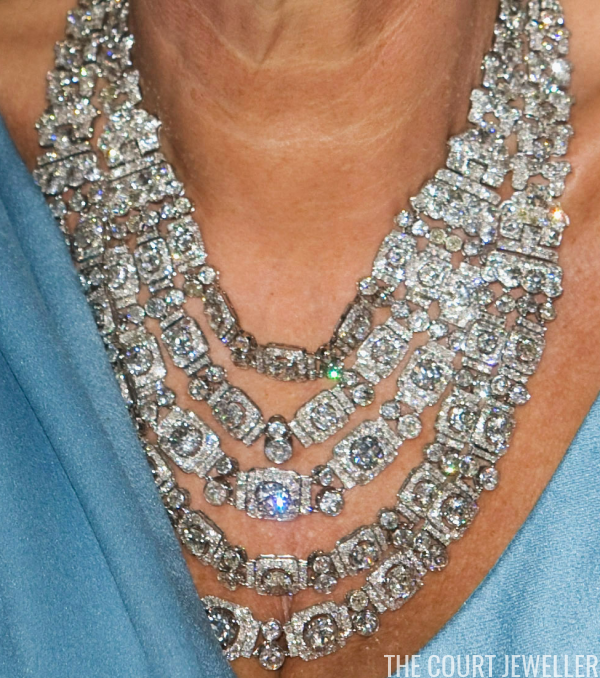 We've got lots of vacation bling this week, plus a surprising amount of sparkle from the opera! Don't forget to vote for your favorites in the poll below! Tomorrow, Princess Mabel of Orange-Nassau, daughter-in-law of Princess Beatrix of the Netherlands and sister-in-law of King Willem-Alexander, celebrates her birthday. 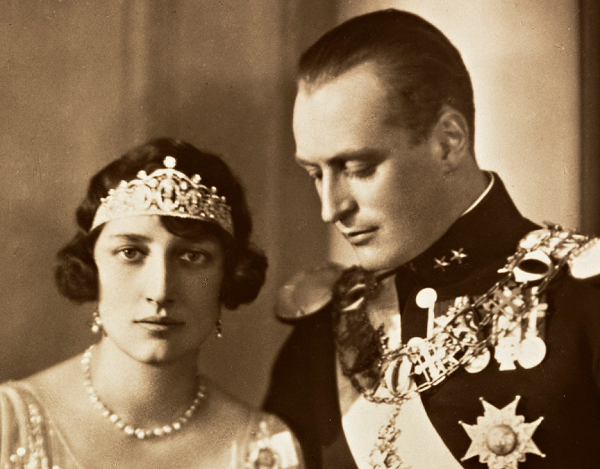 To help us all get in a celebratory mood, we're taking a deep dive today into the interesting history of her wedding tiara.